Hannah Strom-Martin and I were interviewed by Linda K. Sienkiewicz about our Futuredaze Kickstarter. Check out our interview in which we discuss everything from how we approached the Kickstarter project to how we came up with our ideas and what inspired our editorial choices. Linda is a terrific writer herself, and it was an honor to be interviewed by her. 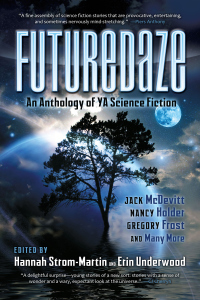 We hope you enjoy The Art of Anthology, with the editors of Futuredaze, a YA Science Fiction Collection. We had a great time with this interview. Thank you Linda!!! We definitely have some new projects in the works. So……. stay tuned.